Nokia announces Christmas promo, enjoy FREE JBL GO Bluetooth speaker for every purchase of a Nokia Android smartphone! Home / mobile / news / nokia / Nokia announces Christmas promo, enjoy FREE JBL GO Bluetooth speaker for every purchase of a Nokia Android smartphone! This season of giving, HMD Global has something special for its fans! Enjoy a FREE brand new JBL GO Bluetooth speaker worth PHP 1,599 for every purchase of any Nokia Android smartphone this Christmas until December 31, 2017. The participating Nokia Android smartphones are the entry-level yet capable Nokia 3 worth PHP 6,990, the stylish Nokia 5 worth PHP 9,990, mid-range Nokia 6 worth PHP 11,990, and the bang-per-buck flagship Nokia 8 worth PHP 29,990. FREE with Nokia 3, 5, 6, 8! This promo is available in all major dealers nationwide. Just visit http://uniteforpromo.ph/premium for the terms an conditions. 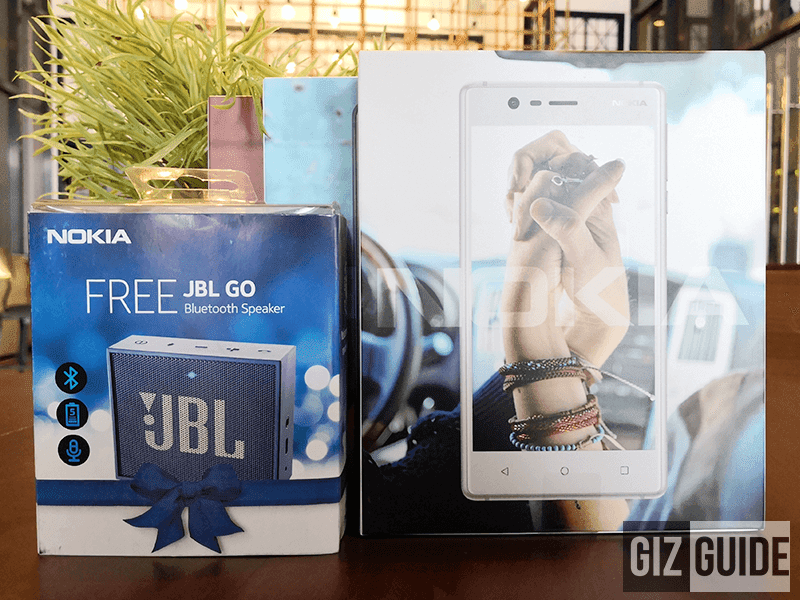 See also: Nokia extends the FREE JBL GO promo until January 31! On the other news, Nokia Philippines has also announced that that the Nokia 8 already received the much awaited pure Android 8.0 Oreo update. The Nokia 5 is currently on beta mode already too. Then the rest of the models like the Nokia 3 and 6 will get the update soon as well. We also received a confirmation that HMD Global is planning to bring the Nokia 2 entry-level phone with 4,100mAh battery in the Philippines early next year.